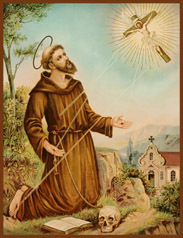 Born in Italy circa 1181, St. Francis of Assisi was renowned for drinking and partying in his youth. After fighting in a battle between Assisi and Perugia, Francis was captured and imprisoned at ransom. He spent nearly a year in prison – awaiting his father’s ransom – and, during this time, reportedly began receiving visions from God. After his release from prison, Francis reportedly heard the voice of Christ, who told him to repair the Christian Church and live a life of poverty. Thusly, he abandoned his life of luxury and devoted his life to Christianity, and became known all over the Christian world. Later in life, Francis reportedly received a vision that left him with the stigmata of Christ—marks resembling the wounds Jesus Christ suffered when he was crucified—making Francis the first person to receive the holy wounds of the stigmata. He was canonized as a saint on July 16, 1228. 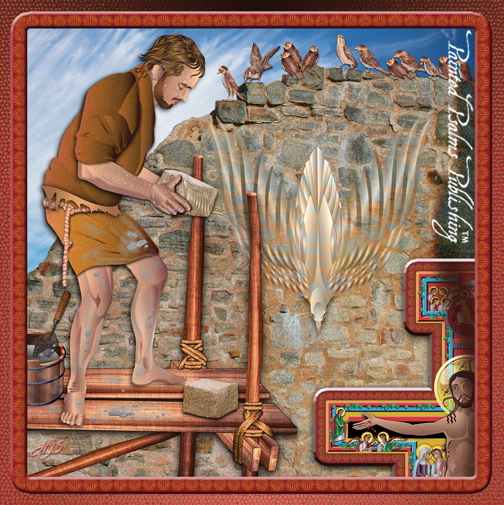 Today, St. Francis of Assisi has had a lasting resonance, with millions of followers across the globe. Born circa 1181 in Assisi, duchy of Spoleto, Italy, St. Francis of Assisi, though revered tosay, began his life as a confirmed sinner. His father was a wealthy cloth merchant who owned farmland around Assisi, and his mother was a stunning Frenchwoman. Francis wanted for nothing during his youth; he was spoiled, indulging himself with fine food, booze and women, and left school at the age of 14. By this time, he had become renown as a teenage tearaway who frequently drank, partied and broke the city curfew. He was also known for his charm and for being dandy in his dress. 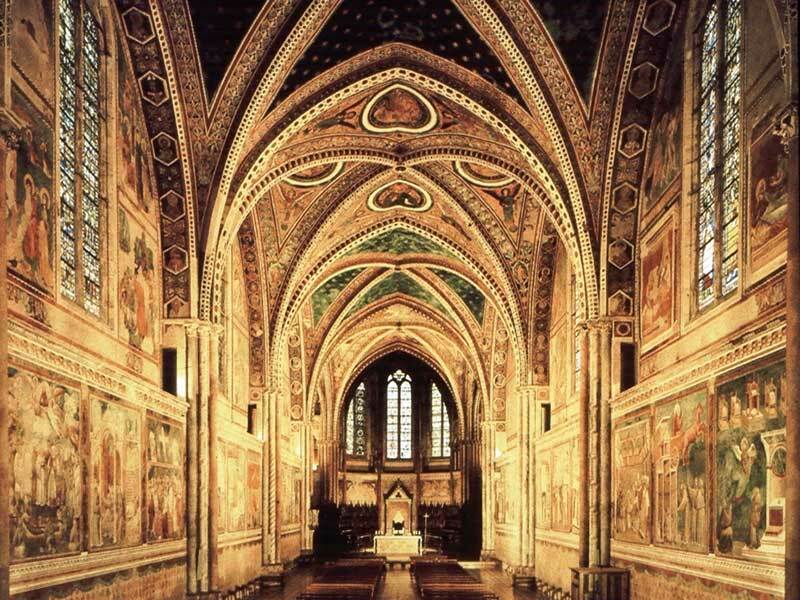 In these rustic surroundings, Francis of Assisi learned the skills of archery, wrestling and horsemanship. He was expected to follow his father into the family textile business, but was bored by the prospect of life in the cloth trade. Instead of planning a future as a merchant, he began daydreaming of a future as a knight; knights were Medieval action heroes, and if Francis had any ambition, it was to be a war hero like them. It wouldn’t be long before the opportunity for warfare beckoned. 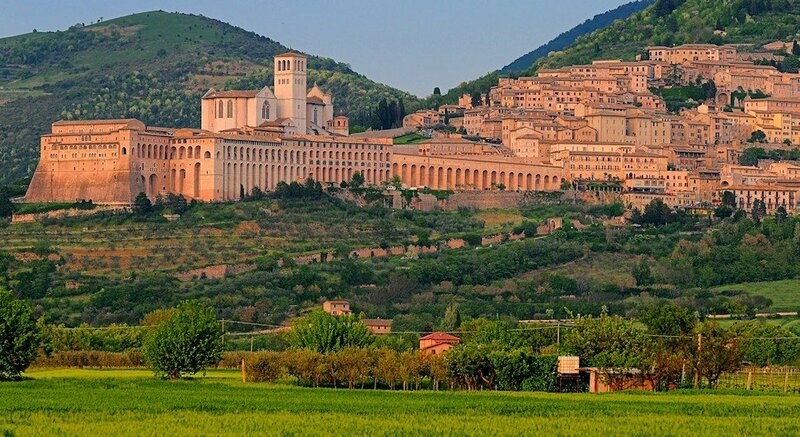 In 1202, war broke between Assisi and Perugia, and Francis eagerly took his place with the cavalry. Little did he know at the time, his experience with war wold change him forever. Francis and the men of Assisi came under heavy attack, and in the face of superior numbers, they took flight. The whole battlefield was soon covered with the bodies of butchered, mutilated men, screaming in agony. Most of the surviving Assisi troops were immediately put to death. Dressed like an aristocrat in expensive new armour, Francis was quickly captured by enemy soldiers, but, judging him worthy of a decent ransom, decided to spare his life. He and the other wealthy prisoners were thusly taken as prisoners, led off to a dank underground cell. Francis would spend nearly a year in this miserable prison cell—awaiting his father’s ransom—during which time he may well have contracted a serious disease. Also during this time, he would later report, he began to receive visions from God. Finally, after a year of negotiations, Francis’s ransom was accepted and he was released from prison in 1203. When he came back to Assisi, however, Francis was a very different man. Upon his return, he was dangerously sick in both mind and body—a shell-shocked casualty of war. He had fought and lost in a bitter, bloody war, and was left with mental and physical scars. One day, as he would later report, whilst riding on a horse in the local countryside, Francis encountered a leper—regarded, at the time, as the lowest of the low, an untouchable. Previously, Francis would have run from the leper, but on this occasion, his behavior was very different. Viewing the leper as a symbol of moral conscience—or as Jesus incognito, according to some religious scholars—he embraced and kissed him, later describing the experience as a feeling of sweetness in his mouth. After this incident, Francis felt released from many of his inhibitions. Suddenly, his earlier life of wine, women and song had lost all of its appeal. Subsequently, Francis, now in his early 20s, began turning his focus toward God. Instead of working, he spent an ever-increasing amount of time at a remote mountain hideaway as well as in old, quiet churches around Assisi, praying and looking for answers. 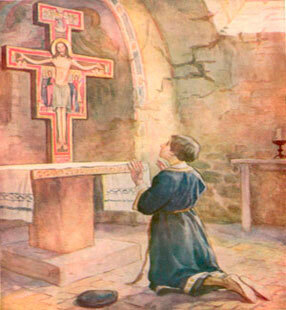 During this time, while praying before an old Byzantine crucifix at the church of San Damiano, Francis reportedly heard the voice of Christ, who told him to rebuild the Christian Church and to live a life of extreme poverty. Thusly, Francis abandoned his life of luxury and devoted his life to Christianity. He began preaching around Assisi and was soon joined by 12 loyal followers. Some regarded Francis as a madman or a fool, but others viewed him as one of the greatest example of how to live the Christian ideal since Jesus Christ himself. 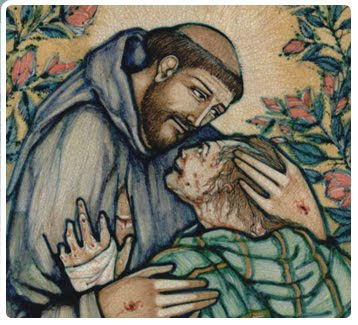 Whether he was really touched by God, or simply a man misinterpreting hallucinations brought on by mental illness and/or poor health—following his release from prison, he was incredibly sleep-deprived and malnourished—one thing is for certain: Francis of Assisi quickly became well-known throughout the Christian world. 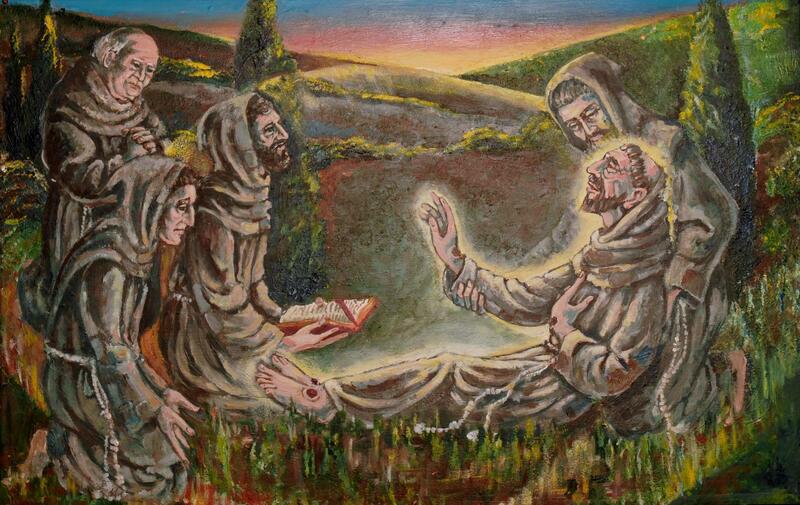 After his epiphany at the church of San Damiano, Francis experienced a defining moment in his life. In order to raise money to rebuild the Christian Church, he stole a bolt of cloth and a horse from his father. His father became furious upon learning of his son’s crimes, and subsequently dragged Francis before the local bishop. The bishop told Francis to return his father’s money, to which his reaction was extraordinary: He stripped off his clothes and passed them, along with the money, back to his father, declaring that God was now the only father he recognized; this event is credited as Francis’s final conversion, and there is no indication that Francis and his father ever spoke again thereafter. 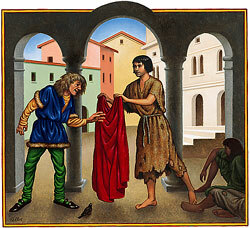 The bishop gave Francis a rough tunic, and dressed in these new humble clothes, Francis left Assisi. Unluckily for him, the first people he met on the road were a group of dangerous thieves, who beat him badly. Despite his wounds, Francis was elated. From now on, he would live according to the Bible. Francis’s Christ-like poverty was a radical notion at the time. The Christian Church was tremendously rich, much like the people heading it, which concerned Francis and many others, who felt that the Church’s long-held apostolic ideals had eroded. Thusly, Francis set out on a mission to restore Jesus Christ’s own, original values to the now-decadent Church. With his incredible charisma, thousands of followers were soon drawn to him, listening to his sermons and joining in his way of life; his followers became known as Franciscan friars. Continuously pushing himself in the quest for spiritual perfection, Francis was soon preaching in up to five villages per day, teaching a new kind of emotional and personal Christian religion that everyday people could understand. He even went so far as to preach to animals, which garnered criticism and earned him the nickname “God’s fool.” But Francis’s message was spread far and wide, and thousands of people were captivated by what they heard. As he approached his death, many predicted that Francis was a saint in the making. When his health began to decline more rapidly, Francis went home. Knights were sent from Assisi to guard him, and to make sure that no one from neighbouring towns would carry him off (the body of a saint was viewed, at the time, as an extremely valuable relic that would bring, among many things, glory to the town where it rested). 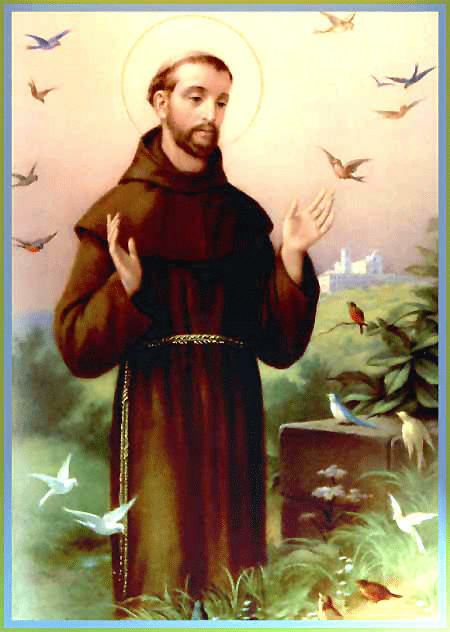 Francis of Assisi died on October 3, 1226, at the age of 44, in Assisi, Italy. Today, Francis has had a lasting resonance, with millions of followers across the globe. He was canonized as a saint just two years after his death, on July 16, 1228, by his former protector, Pope Gregory IX. 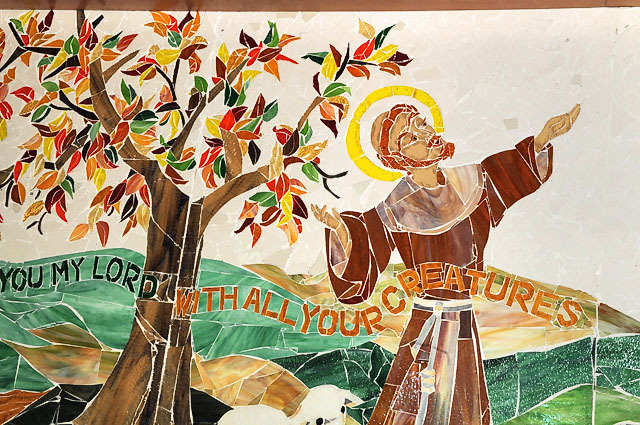 Today, St. Francis of Assisi is the patron saint for ecologists—a title honoring his boundless love for animals and nature.